Ford has been doing commendably with its luxurious brand Lincoln and has been competing appreciably with brands like Mercedes and Lexus. 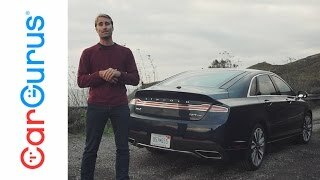 The competition rolled up recently a new number with the all new Lincoln MKZ 2017. Housed with a performance packed engine, the model features a luxurious interior. 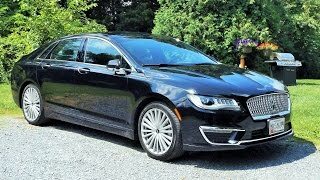 Let us have a look at the review of Lincoln MKZ 2017 to know in details about it. The interior of Lincoln MKZ 2017 is the place where company focused more, in comparison to the exterior. It has a floating center console with lots of storage space and a push-button shifter. There is a touchscreen display featuring navigation and smartphone compatibility while the multifunction mounted steering wheel hides behind it a new instrument cluster that has a driver’s information center amidst the speedometer and tachometer. There is also a Driver’s Package with the model, which offers an Ebony interior with carbon fiber accents. The same also provides you multi-color gorgeous seats that are refined to look elegant and serve comfort. 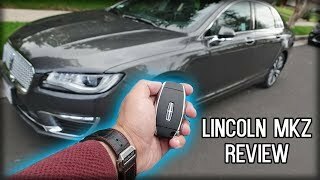 Talking more about the technology, interior of Lincoln MKZ 2017 provides you a user friendly access over the controls and comes with USB ports to make your inside experience better. 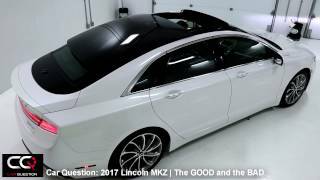 The exterior of Lincoln MKZ 2017 has countable changes. Starting with the front fascia it has the option of LED adaptive headlights sitting over the newly designed LED fog lights. The center top portion has the newly designed single-piece grille while the lower portion has a massive air vent in center and two on either corner. Both the mentioned inclusions come with chrome accenting that adds stars to the looks. Moving towards the rear end, you’ll notice some new touches made on the lower portion between the two wheels. The company provides you an option to equip your new car with retractable panoramic glass roof while the rear end has small LED taillights and a LED bar between the lights marking presence over the deck lid. 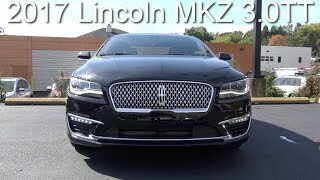 Thus rounding up the exterior details of Lincoln MKZ 2017 I would say that company has played really well with the design to make the model look more appealing. There are in total four powertrain options for Lincoln MKZ 2017. The first one is a 2.0 liter GTDI EcoBoost four-cylinder engine generating total output of 244 hp while the second is a hybrid engine displacing 2.0 liter producing 188 hp through its engine. The third one for the model is 3.7 liter V6 engine cranking 300 hp. The last one here comes with Driver’s Package and is a 3.0 liter Engine rumbling total output of 350 hp and peak torque of 475 nm. The last one also brings in new set of 19” wheels and Ebony-Painted calipers.